The Indian government has been served with a notice for international arbitration by the United Arab Emirates (UAE’s) Ras Al-Khaimah Investment Authority (RAKIA) seeking compensation of $44.71-million or immediate fulfilment of commitment for the supply of bauxite and alumina for a planned project in southern India. According to information published by India’s Mines Ministry, the UAE government, through RAKIA, has sought arbitration under the Bilateral Investment Protection Agreement between India and the UAE. Since the issue relates to sovereign bilateral trade and investment agreements, the Indian government will set up an inter-Ministerial committee to address issues stemming from the notice issued by the UAE. The dispute between RAKIA and the Indian government relates to a memorandum of understanding (MoU) between the government of the southern Indian province of Andhra Pradesh and the government of Ras Al-Khaimah, part of UAE, for the construction of an alumina and aluminium refinery. The planned project was to be based on assured bauxite supplies from Andhra Pradesh Mineral Development Corporation (APMDC) to Anrak Aluminium. The compensation amount claimed in the arbitration is equivalent to the investments made by RAKIA in the implementing company, ANRAK. The planned alumina refinery had envisaged an investment of about $1.02-billion. 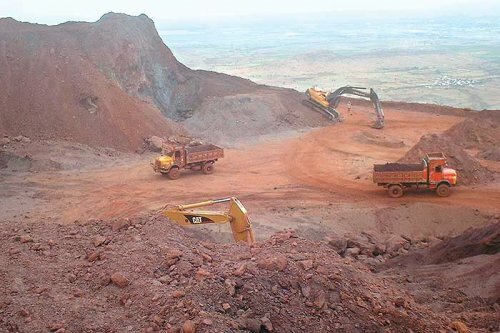 In April 2016, the government of Andhra Pradesh, through a notification, cancelled a MoU signed between APMDC and ANRAK for a supply of bauxite to the proposed alumina and aluminium project. ANRAK had been conceived as a joint venture of the UAE’s RAKIA and India’s Pennar Group with equity holdings of 70% and 30% respectively. Andhra Pradesh, accounting for about 18% of the country’s total bauxite reserves of 3.4-billion tons, has over the years witnessed several flip-flops in exploiting the resource and implementing aluminium projects, in the face of environmental activism and violence stemming from ultra-left wing extremists. In 2015, the government of Andhra Pradesh gave the green signal to bauxite mining across 1 212 ha of forest land across the province. However, the ‘government order’ permitting mining projects in the area was soon revoked after a few months when united opposition political parties combined with indigenous people to launch a concerted movement to oppose mining in forest land. A $2-billion aluminium project conceived in 2007 by JSW Steel has also been pushed into limbo following uncertainties over bauxite mining in Andhra Pradesh.